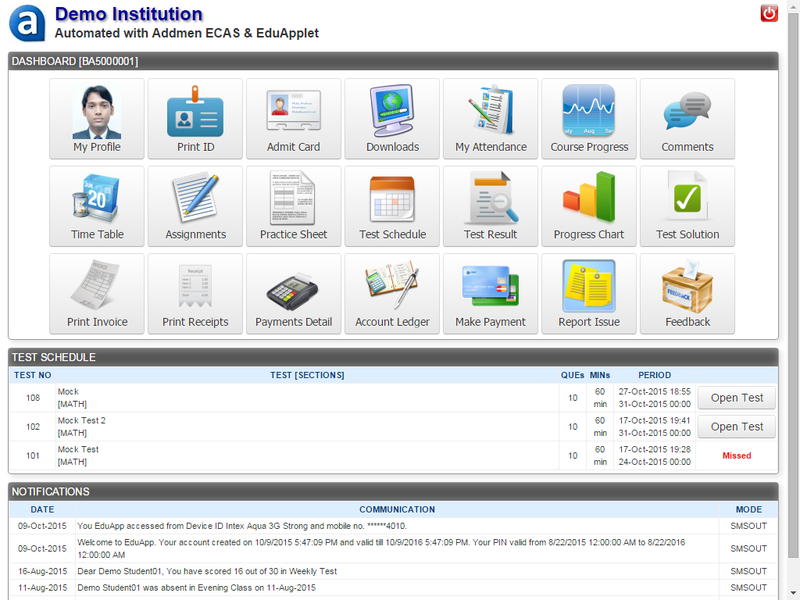 Enhanced Campus Automation Software (ECAS) helps in automating all campus administration processes. Be it enquiry for admission, maintaining fee records, marking the attendance or any other process that is undertaken in an educational institute, ECAS has the solution for all. The best part of this software is that it can adopt as per the requirements of all educational institutes. 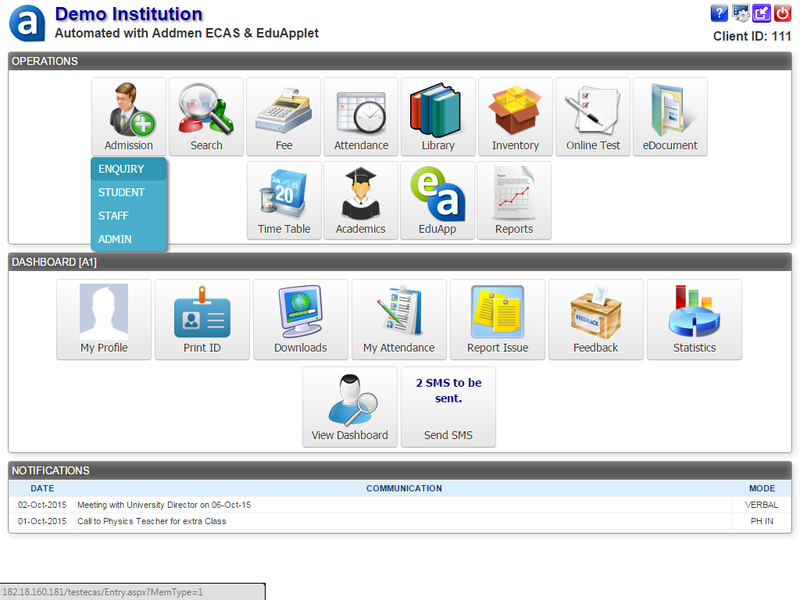 ECAS is a software that can be used by schools, colleges, universities and coaching classes too. 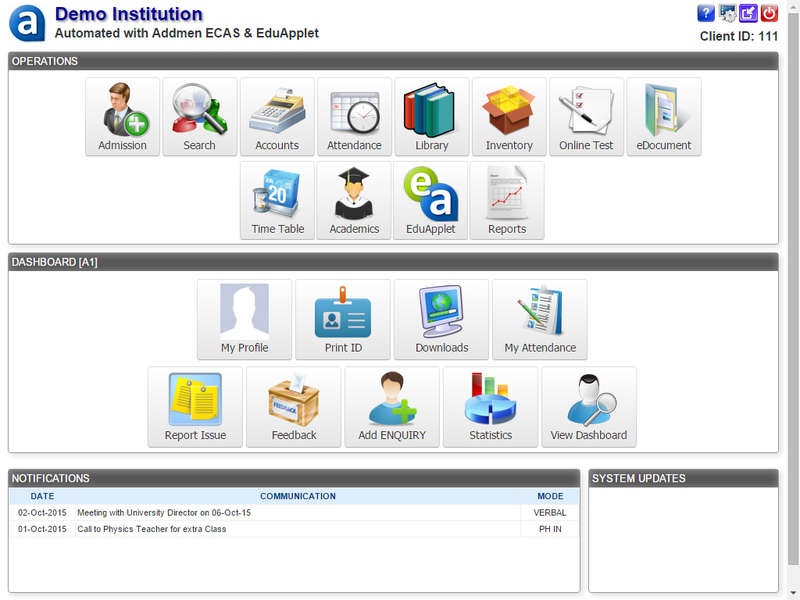 The online automation system helps to control all aspects of campus administration from anywhere via the internet. Some of the modules in the software are Enquiry and Admission, Fee Management, Attendance Management, Examination and Mark Sheet, Online Test System, Library Management, SMS and Email, etc. Buying the software is a one-time investment and you can use it for as long as you want. There is also the option of leasing the software and renewing the lease from time to time. You can choose to activate the modules that you require for your administration procedures. If you require something new, you can add or update it later. The software allows you to customize the software as per your needs. You can create branches, fee structures, batches, etc. and can also change the field structure and layout of enquiry and admission forms. It has multi-tier security, making it a safe and reliable system to store crucial details of the education system. While multiple-users can access the software, the limit of the access can be controlled by the administrator or the super-administrator. The same system can be used for multiple branches. The users of each branch can access and manage only the data of their section. Data backup is taken on a regular basis. This makes it possible to access a year old data easily. The Addmen Enhanced Campus Automation System or Software has everything you need for the smooth functioning of campus administration. With this software, you do not have to rely on paperwork and emails too much for managing the administration of your campus.